Upgrading their image to fit the new concept was the impetus for this project. 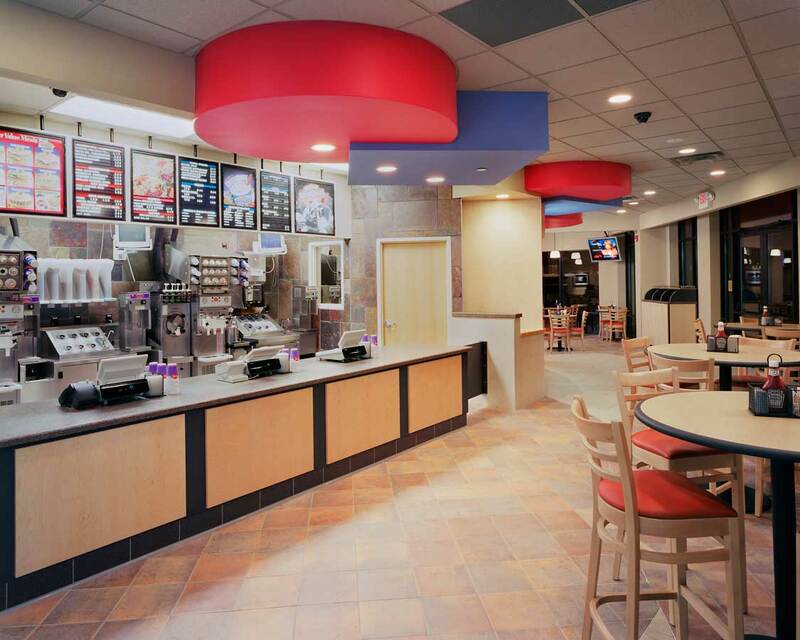 Mohagen Hansen worked closely with the franchisee’s team to develop a concept that was upbeat, warm and inviting for Dairy Queen guests. 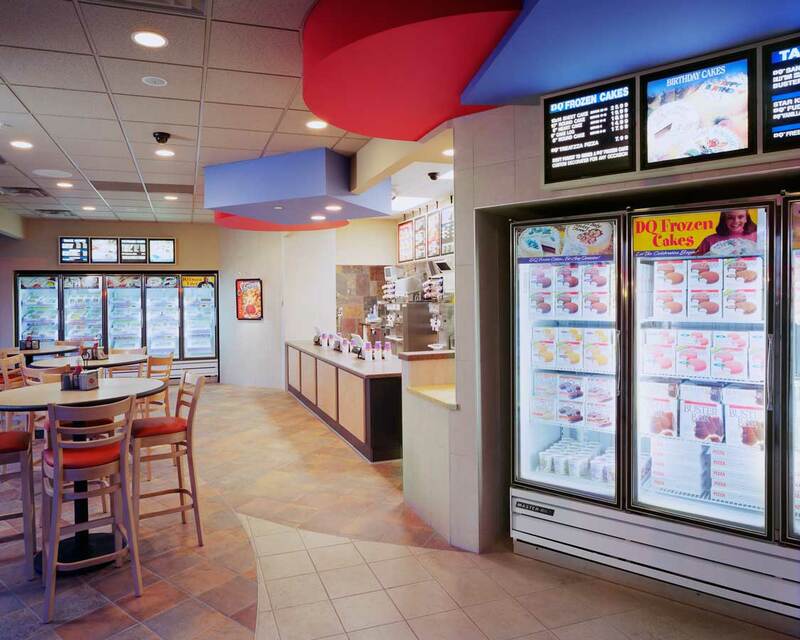 Unique to this Dairy Queen location are plasma screens and a four-sided glass gas fireplace which provides warmth and unique detailing. 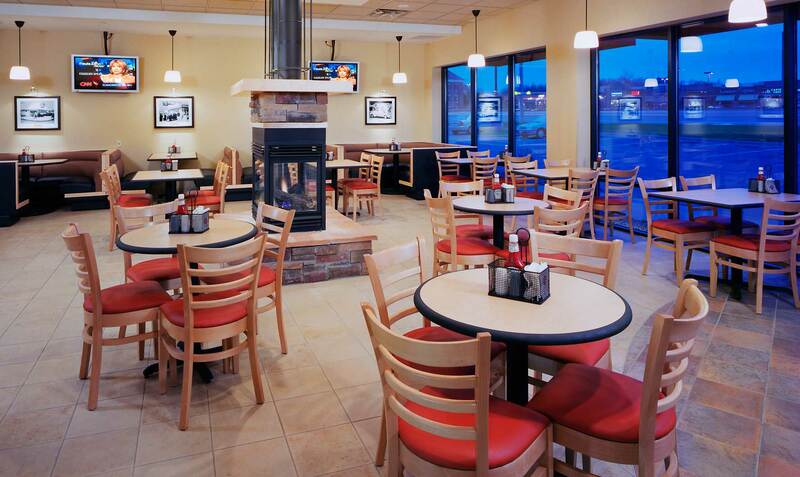 There are also both free standing table and booth seating options throughout the space.